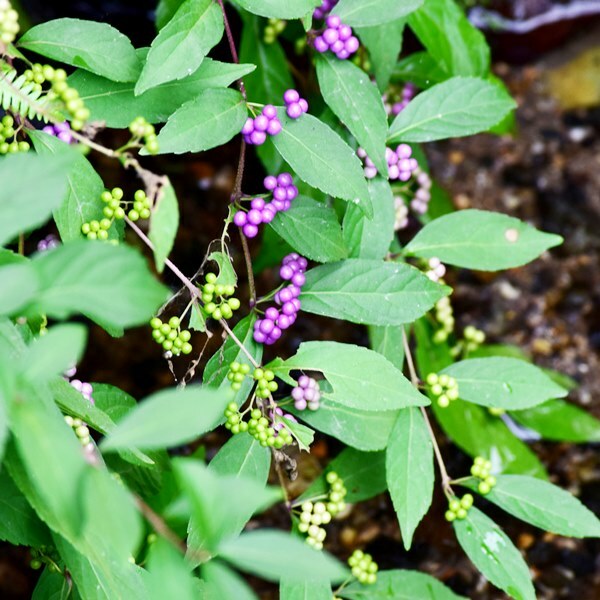 Look at these Japanese beautyberries blooming by the stream behind Murin-an’s stone memorial. 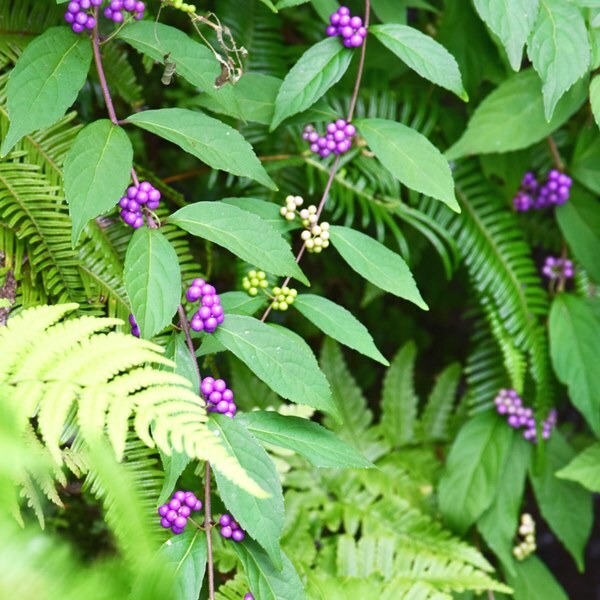 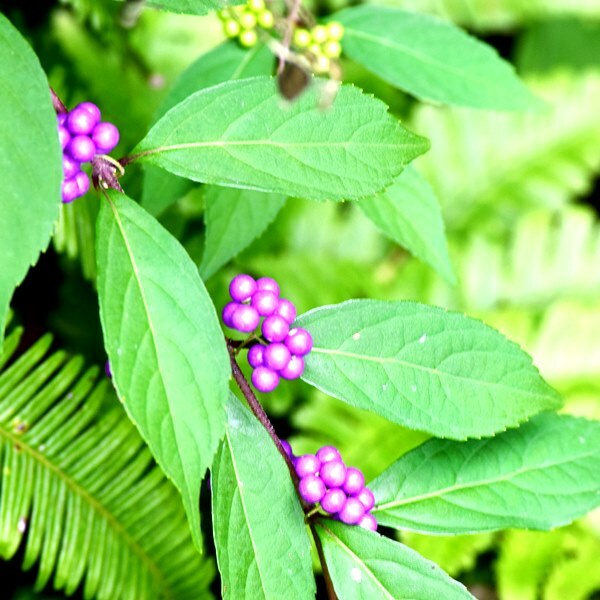 These beautyberries are like purple jewels that shine even brighter against the green of the garden. 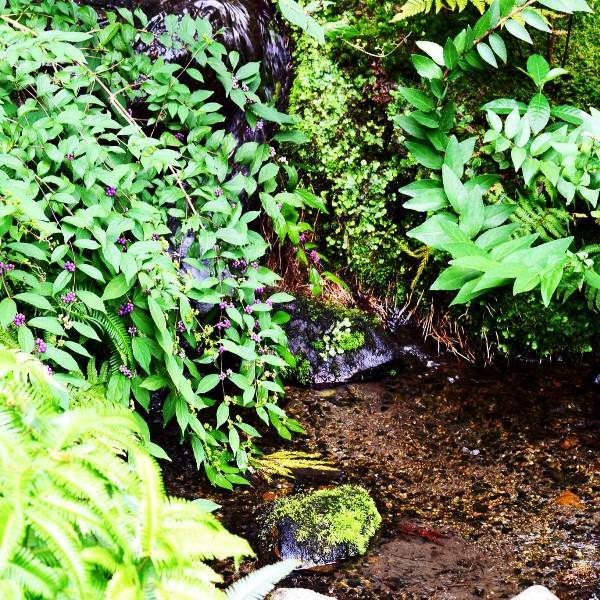 We hope you’ll all come to find them.